Bringing Power to the People! You come home at night, you probably switch on the lights without thinking, and while asleep you charge your phone for the next day. Imagine if that would no longer be possible. It’s not that easy, is it? Electricity is so much more than a glowing light bulb. It provides access to computers and smartphones which is necessary for volunteers and refugees to have contact with the outside world as well as their families. Electricity also applies to maintain streetlights, especially for women to feel safer when going to the bathroom at night. Light bulbs also allow children to study or simply read after the sun sets. The importance of electricity is so much more than the mentioned reasons. That's why we came up with the most sustainable way to provide electricity to the people! 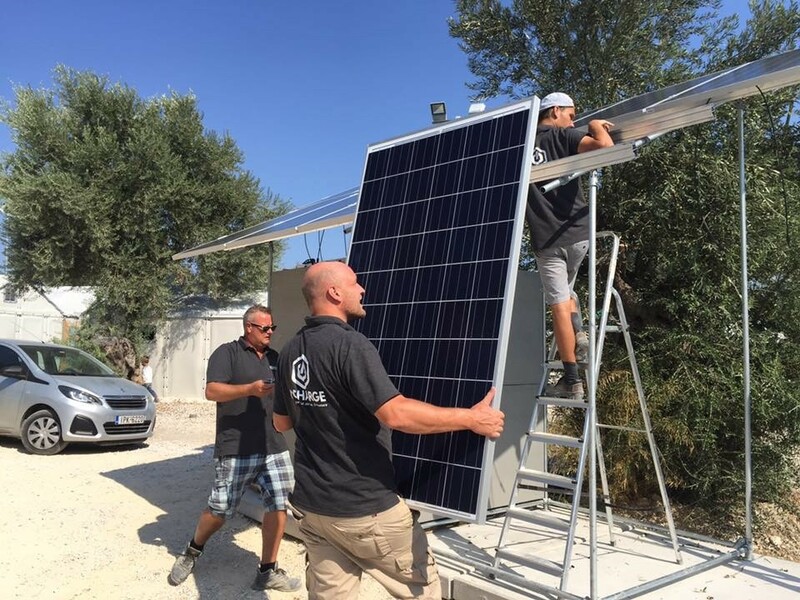 The Movement On The Ground solar panel project has been set up to bring power to the people. Electricity on campUS is solely based on energy sources extracted from the sun. This project is especially fitting to our Movement since is entirely sustainable as well as creates a self-sufficient campUS! 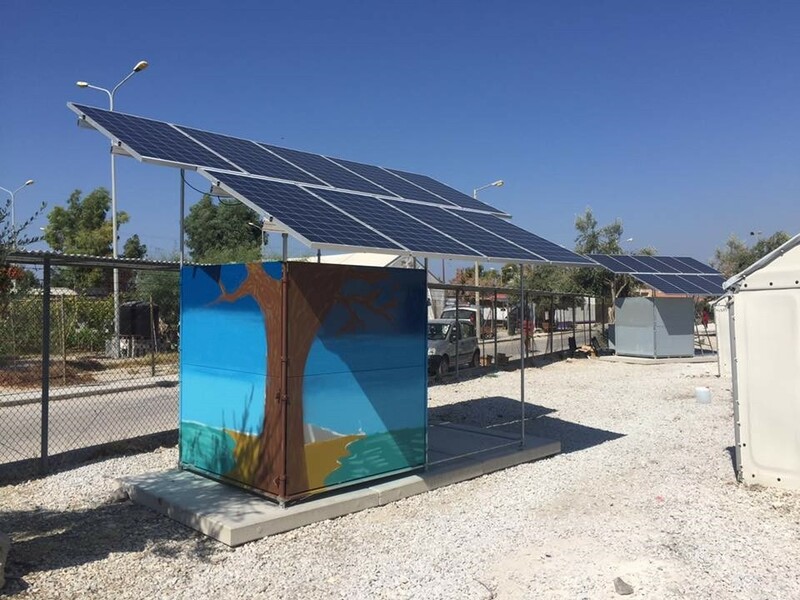 Apart from the 'solar panel' project, we have initiated many more projects to help the crisis currently on Lesvos. To read about our other projects, click here!